Please join us in Lynchburg, Virginia, for the Southeast Chapter, Society of Architectural Historians’ Annual Meeting from October 11-14, 2017. For the 2017 conference, we will meet in the foothills of the Blue Ridge Mountains in Lynchburg, Virginia. The scenic setting along the James River attracts the environmental and cultural tourist, and has since before Thomas Jefferson’s time. 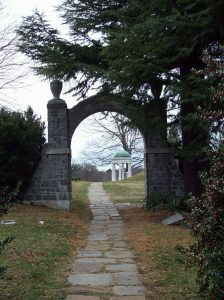 Natural Bridge, once owned by Jefferson, is a National Historic Landmark and one of the two great natural wonders of the early America. Equally provocative is the National D-Day Memorial. Bedford County, which includes Lynchburg, lost more of its citizens per capita in the D-Day campaign of World War II than any other place; it was also home to Desmond Doss, a World War II veteran who did not carry a weapon because of his beliefs and who received the Medal of Honor for his heroic actions in the war’s Pacific Theater. Doss’s story was told in the film Hacksaw Ridge (2016). Also just outside of town is Jefferson’s retreat Poplar Forest, considered to be his most personal work, and perhaps his most perfect. 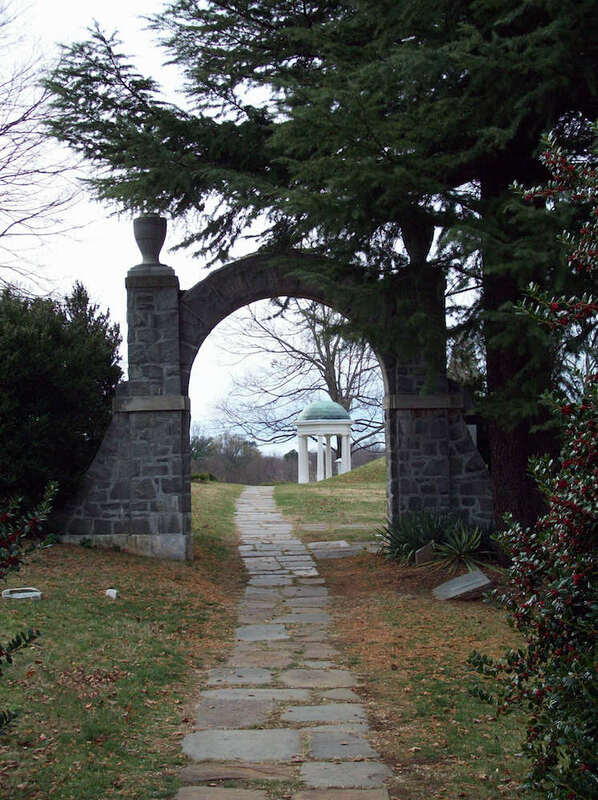 It is a National Historic Landmark and has been declared eligible for the Jeffersonian Thematic Listing on the World Heritage List for the same criteria as Monticello and The University of Virginia. Poplar Forest is one of the most idealistic projects in the country and is in its final stages of restoration. You will see the work of craftsmen who are making all the interior moldings by hand. A signature event of the conference will be a private tour and dinner at Poplar Forest. Lynchburg itself may surprise you. The city’s hills display a catalogue of architectural styles from Federalist to Mid-Century Modern. Wealth from tobacco, iron and steel fueled the city’s development; manufacturing followed in the later 19th century. On the eve of the Civil War, Lynchburg was among the wealthiest per capita in the nation. This affluence is reflected in the built environment, from the ironwork décor to the varying scale and detail of the structures lining narrow streets and steep hills. Today, Lynchburg hosts seven historic districts. In the Pierce Street Renaissance District we will tour the house and garden of Harlem Renaissance poet and gardener Anne Spencer, which like Poplar Forest is a highly personalized architectural and horticultural expression. Lynchburg native and noted author, S. Allen Chambers, will welcome SESAH to “Hill City” in the opening address. Chambers will orient SESAH to Lynchburg’s sacred and secular places, its natural and designed landscapes, and the on-going preservation and adaptive reuse projects infusing new energy into old structures. Conference participants will receive a copy of Chambers’ book, Lynchburg 100: An Illustrated Guide to Lynchburg Landmarks. The Holiday Inn on Main Street will be the venue for the paper sessions. Conference attendees are invited to select accommodations from blocks of reserved rooms in two downtown hotels, the Holiday Inn and the Craddock Terry. A day of local tours will round out an exciting conference program of plenaries and papers. Join us in October!